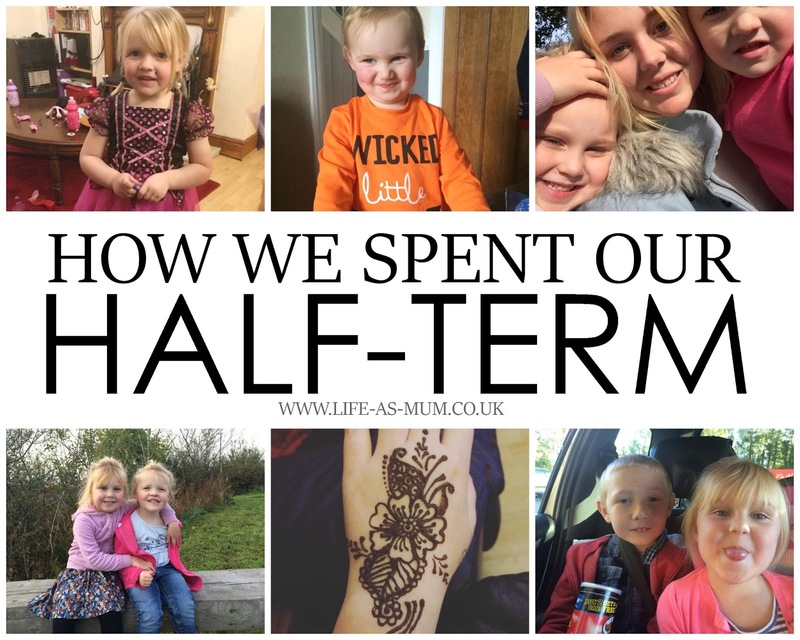 I couldn't believe how quickly October half term came around and now writing this post - I can't believe how fast October half term has been. It's just come and gone. We haven't done as much as I hoped but we did do a few unplanned things which are always the best, aren't they? Also, my little brother from South Wales came up and we spent a few days with him which I always love and enjoy - the girls absolutely adore and look up to him so much. They love it when he's up here. Monday - I decided to have a lazy day and catch up on a lot of blog work - which I successfully did! Me and the girls ended up the day by watching a film and cuddling up on the sofa before bedtime. Tuesday - My Dad and brother came over for the day, so we all had a day in the house again but it was nice to have a catch up with my Dad and brother and nice for the girls to play with my brother as they have been very excited for him to come over. Wednesday - We had an unexpected day out with my Dad and brother. We went to Llandudno retail park and although it was around shops - the girls really enjoyed themselves. Thursday - We just had a relaxing day. We just went with the flow and we ended up going out for a walk to the shop for kinder egg and magazine. We then went to walk the long way round back home which the girls loved. Friday - My Dad and my brother came to visit again in the morning and after lunch Catriona / Lovedbymummy came over with my nephew Osian. Mia had gone to her Dads at 12 mid-day so she just missed out on Osian. Elliw and Osian enjoyed playing together. Later on me and Elliw snuggled up and watched a film together before I put her to bed. Saturday - Had (another) lazy morning. After lunch Elliw, my partner and I went food shopping then back home to keep the food shop and got ourselves ready to go down to my friends for her little Halloween party for the kids. Mia was out trick or treating with her Dad, so Elliw came with me and my partner. We then ended off the day with an Indian and X Factor! Sunday - It was supposed to be a day of blogging and house work but instead we ended up going to B&Q to buy some paint for the girls bedroom and a new toilet seat since I broke the one we had already! Basically, I was cleaning the toilet and the thing snapped! oops! I hope you all enjoyed Halloween! How did you spend your Half Term? Lovely that you and your girls got to spend time with family over half term, and also have some relaxed time at home too. That sounds like a lovely half term! We've had a good one interspersed with sibling arguments! Pretty good post. I just stumbled upon your blog and wanted to say that I have really enjoyed reading your blog posts.thanks for all this information.Custom essay writing service is the better service that helps students for their academic course while giving more and effective tips for writing works. Your week looks like mine. Be a mummy is not that very easy, especially if you want to develop your personality and work. Pip in here writing research papers Be strong! I'm sure that you educate them very wellyou simply have wonderful children! you straight radiate happiness and warmth.